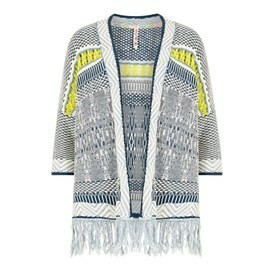 Reach for the Zita jaquard grindle knit kimono as the sun sets and the chillier air arrives. The perfect layer to throw on over lighter t-shirts to keep you warm while you remain relaxed and stylish. 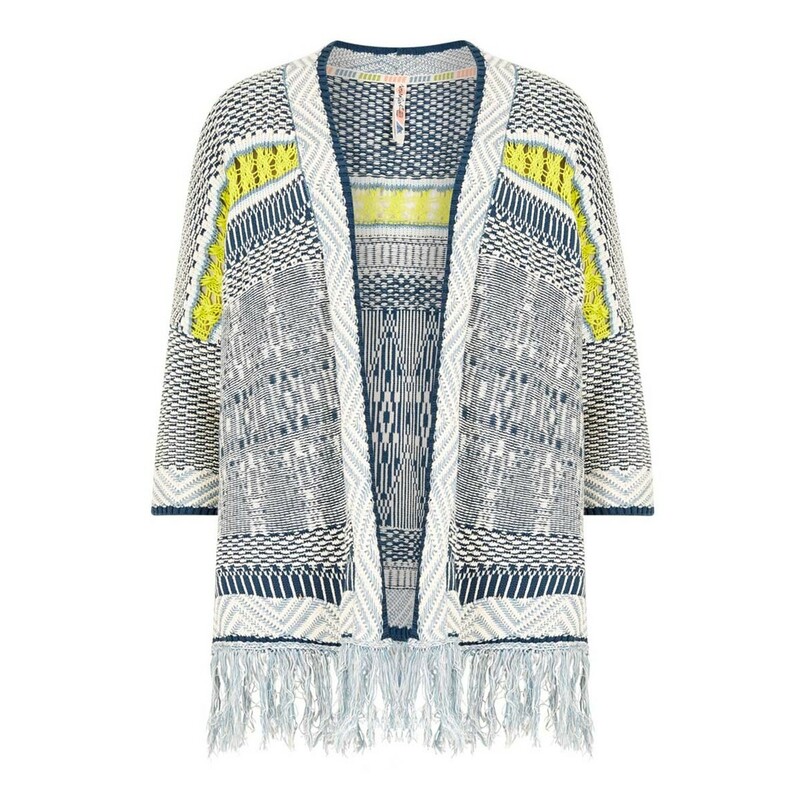 The pretty Zita jacquard kimono is a must have this season, perfect for keeping you warm during those evening strolls as the sun sets. Why not contrast with one of our bright t-shirts underneath such as our Santana. Love it, larger than expected. Perfect for when the sun goes down. Very pretty and casual. So suitable for changeable weather.